adaptor to use with temp power cord to plug into 50amp 220v dryer style home receptacle. 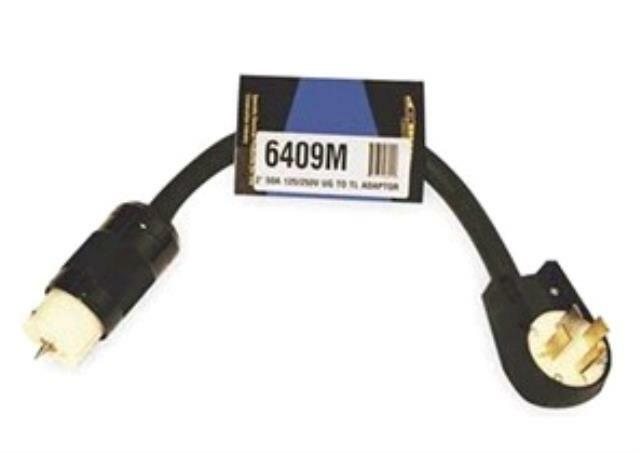 May be used to connect 50 amp temp power cord or power center to home 50 amp outlet 14-50R. * Please call us for any questions on our extension adapt 50ap 50ar l1450p 50atemp rentals in Portland OR, Gresham OR, Milwaukee OR, and surrounding metro area.